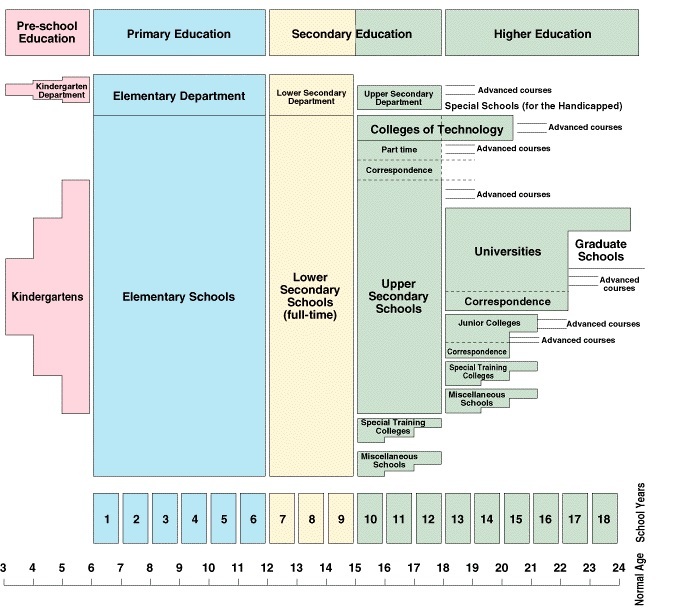 The education system in Japan is quite similar to the US system. Here is an overview. Those schools offer different programs but one main purpose: becoming fluent in Japanese. Japanese language school students will learn the Japanese language and culture within months – as opposed to years if they study in their own country. Course lengths vary, from a few weeks to 2 years. Usually, 18-month or 2-year programs – often called preparatory courses – aim to prepare for higher education entry. 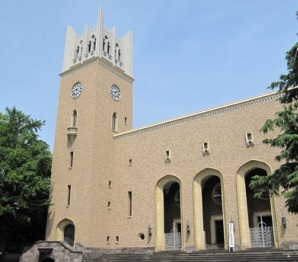 Indeed, a significant proportion of foreign students join language schools with the purpose of going to eventually enroll in a Japanese higher education institution (see below). Upon graduation (2 years), foreign students are able to seek a job position in Japan. Junior colleges provide specialized studies that prepare students to be fully operative on the job market once they have graduated (2 to 3 years). Graduates receive an associate degree, which enables foreign students to work in Japan. Universities provide advanced learning. Graduates (4 to 6 years) receive a Bachelor’s degree. It enables them to work in Japan. Likewise, foreign Graduates of Master’s courses (2 additional years) and Doctoral courses (at least 4 additional years) are awarded the right to work in Japan. Fields of studies are diverse in Japan. Most universities have Medical, Engineering, Law, Sociology, Education and Business Departments. Note that there is no public ranking of Universities in Japan. To go to Higher Education in Japan, one must be proficient in Japanese (JLPT N2 or equivalent level). In addition, to go to University, one must take the EJU. Of course, this is what Japanese language schools prepare their students for. Note that there are more and more programs in English – that’s the Global 30 initiative launched by the Japanese Ministry of Education – but that’s still obviously limited to just a few.